In 2000, we were the team health provider for the Georgia Pride, an honor for us. That's the women's fast pitch softball team in Columbus, Georgia. Since the Olympics, professional fast pitch ball has grown tremendously. We are not just a team chiropractor, we are the health provider. This means we do whatever is needed physically for the players; that includes chiropractic, physical therapy, neuromuscular reeducation, and medical care and in any combination. By not just being a chiropractic office our reach and abilities to provide care has grown. The Pride has acknowledged this and has taken an active approach to their care instead of just a reactive approach when someone is hurt. Unfortunately, our city did not fully support the team and they did not return to Columbus. Chiropractors have been utilized by many professionals and teams in the country; Tennessee Volunteers, Atlanta Falcons, Wade Boggs, Barry Bonds, Evander Holyfield, Arnold Swartzenager just to name a few. We have also provided an athletic trainer to the team which worked and coordinated with us the health of the players. By accomplishing this and working with the Pride, we can only hope that the people of our area and other teams, whether high school to T-ball, reach out to chiropractic for more of their health problems and less to invasive medical care or surgery. Dr. Jay Brodwyn and his team of health care providers have again been chosen to provide chiropractic care to the team players. The players have a very well trained trainer, but the day to day soreness and minor injuries respond well to chiropractic. Performance may also be enhanced by the care as well. Dr. Jay and his staff are now truly the Columbus Pro-Sports Chiropractors. Columbus's newest professional sports team, the Columbus Wardogs, arena football team, has named us the official chiropractors. It started with the Georgia Pride who since have left Columbus. Now we have moved on to football. No explanation of the sport is necessary and we all can see the extreme physical nature of the game. We will be part of the health care team. The orthopedics will be standing by if surgery is needed, but we will be proactive. Treating all the players with chiropractic, massage and therapy. Helping the player be stronger, feel better,recover faster and heal injuries. We hope people will now realize chiropractic is a part of sports health care team. We treat all neck and back related problems that do not require surgery. I know my car gets out of alignment when I go over some real bad railroad track, and football is filled with "bad tracks." Dr. Jay Brodwyn has been chosen by the Columbus Cottonmouths, our areas hockey team, to be it's official team chiropractor. This now is such an honor for us as it represents the final professional team in Columbus. Now all the sports teams use Dr Jay and recognize the importance of chiropractic in the caring for athletes. We work closely with all the other physicians caring for the team members. By treating all of these athletes, we hope that the average person would understand that if its good enough for them then it should be for me too. 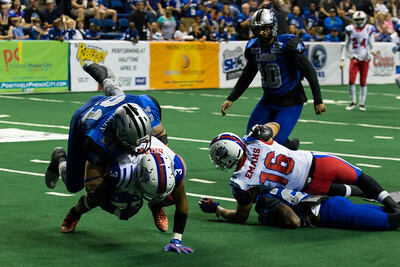 Our very own Columbus Lions has had Brodwyn and Associates in their endzone f rom the begining. Treating their players at the sideline during the games and caring for their injuries in the office between games. Brodwyn and Associates has been on Columbus Lions team! GO LIONS!